In 2001 I designed and implemented a half year magnet motor project for Welfare Technology Foundation. 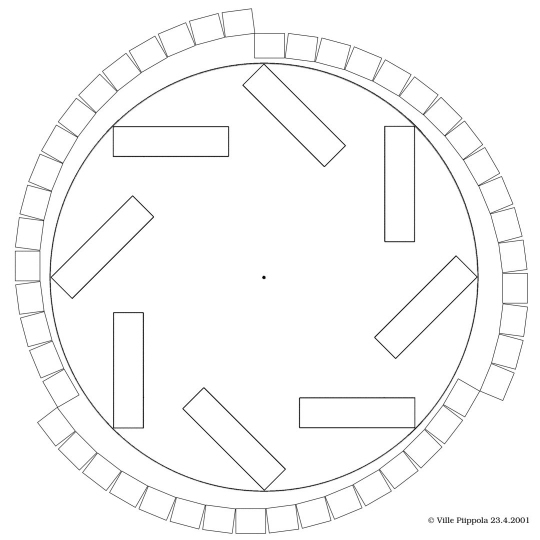 In the picture is my first design for the magnet motor project (click picture for details). The design probably would have changed during the experimentation. Interestingly, as I later found out, there is at least one magnet motor patent (JP11168873) that is somewhat similar to my design. Unfortunately watercut neodymium magnets needed for the experiments cost quite much, and for some reason the magnet manufacturer didn't make them as agreed on the phone. So I started to design motors which use magnets that are already available off the shelf. This was my second design for the magnet motor project. The design consist a outer stator with three magnetic spiral curves and a inner rotor with eight magnets at 45° angle. 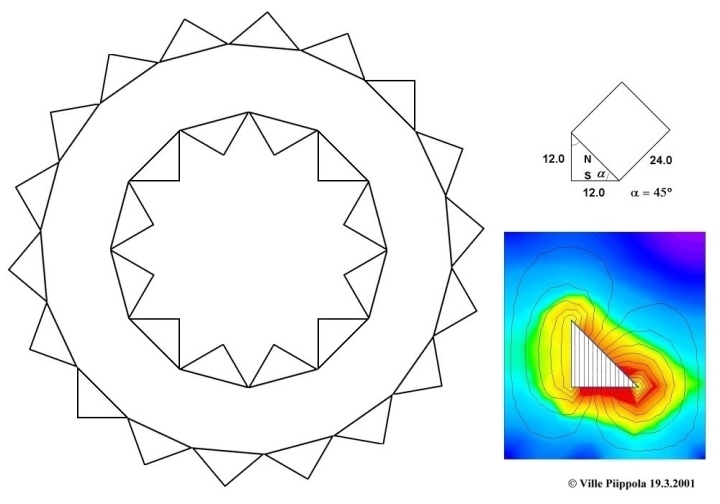 A simple theory for the self starting permanent magnet motor is that, while some of the rotor magnets are influenced by opposing forces, most of the rotor magnets are influenced by driving forces in such way that their sum is greater than the sum of the opposing forces at every point of the rotation. Here is one of the many magnet motor designs I made during the project in 2001. 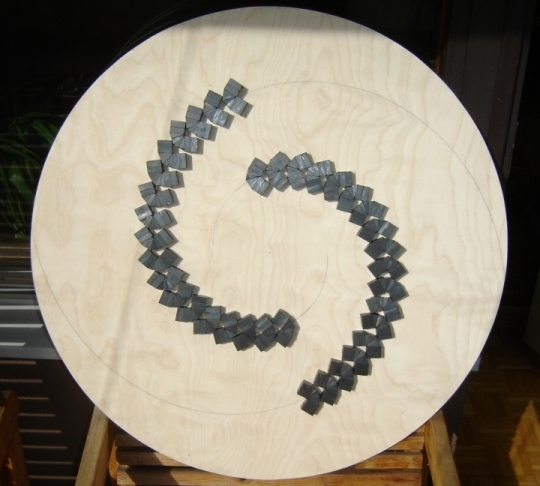 It consist a outer plywood stator with six spiral curves containing ferrite magnets and a inner nylon rotor with holes for neodymium rod magnets. The rotor was originally made for TOMI (Theory of Magnetic Instability) motor experiments. Here is one of the disc stators I made during the summer of 2007. The spiral curve is PHI spiral x 120° (the spiral radius grows 1.618 times every 120° degrees). 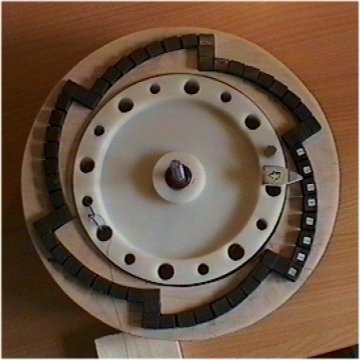 A bicycle wheel rotor with ferrite magnets was placed on top of the stator. I have tried many magnet assemblies and spiral curve variations, but none of them produced continuous rotation. The main obstacle is getting past the area of strongest resistance (the sticky point). As you can see the stator magnets are 'curved', they are cutted with a diamond saw to form 90 degree arches.